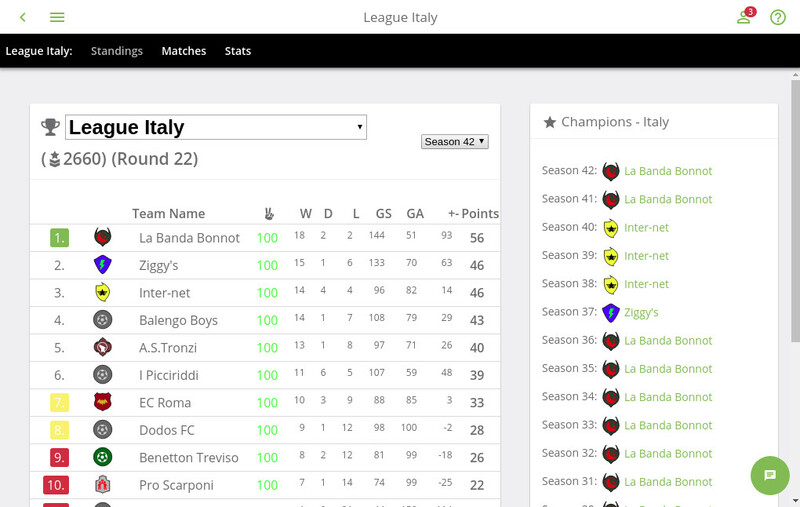 Goleada.org is free browser-based game - football manager. You will compete with managers from all over the world. The focus is on thinking, on long strategy in building squad, on match tactics. There is new season - every month, and matches - every day. 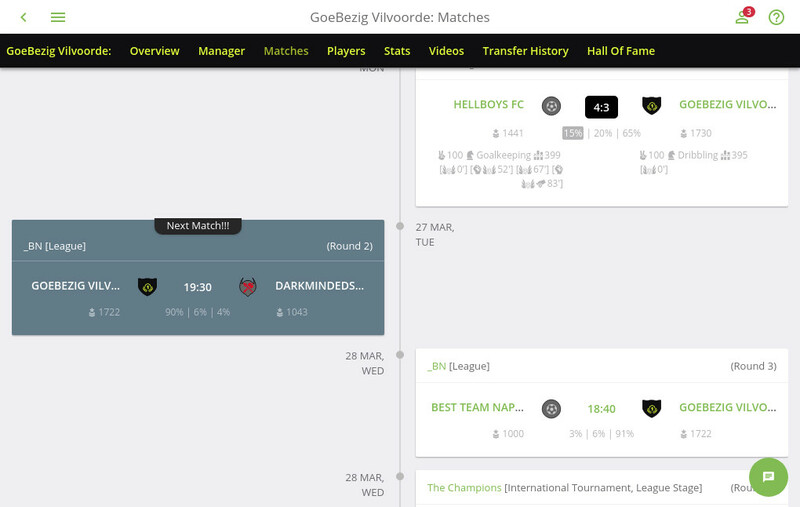 Match engine is based on players and their real performance during the game. 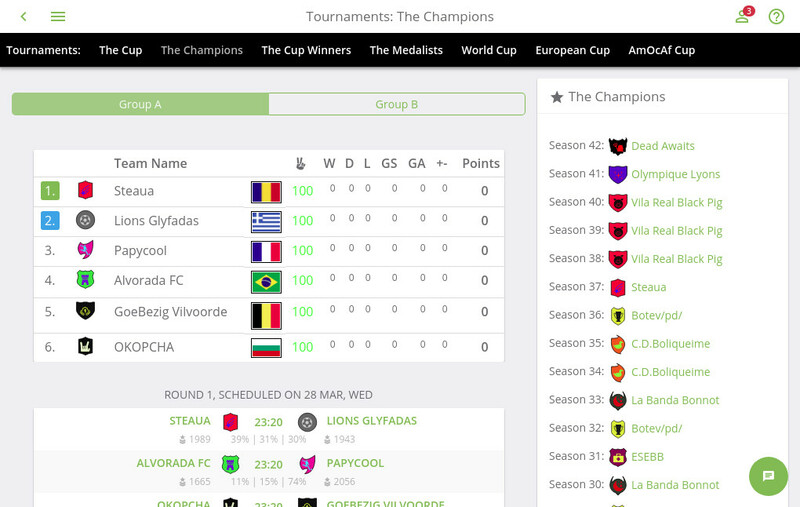 You can watch games live, make substitutes or change formation if something went wrong. You can train your players, creating different types of players for different roles. 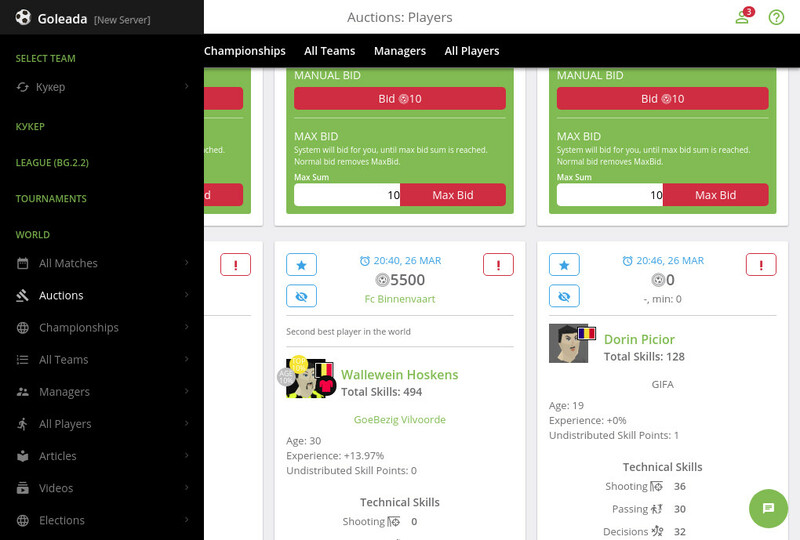 You can scout for new stars, or buy new players from auctions. You can boost team in different skills before every match. Free. You have a option to buy ballcoins (game currency) if you need. The best manager I've ever played! Real game. Vote for the best! Goleada!!! YES!!! This is the game! The live matches with live substitutions and the posibility to change tactics during the match is a unique feature! Este jogo e muito bom. A great football manager game! Very good game and community! A very special football manager. 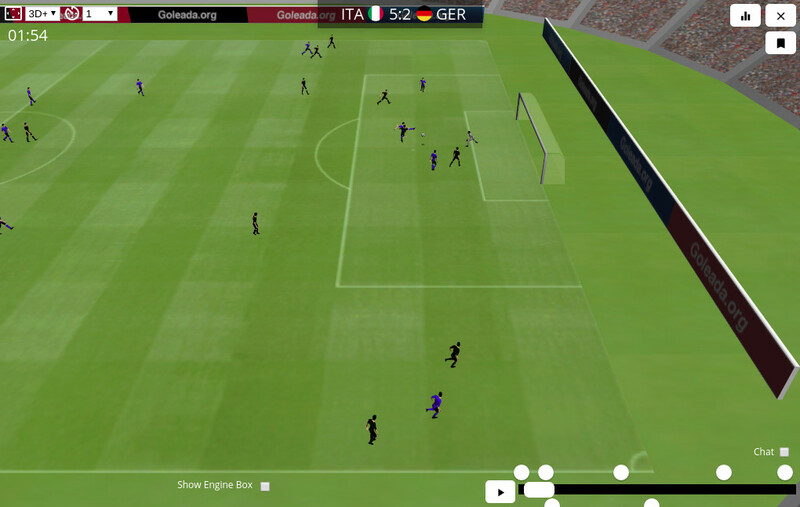 The game engine is totally unique and you can change all tactics right during a live match. I love it! i like the game very much~! Great game with great potential. Nice game engine, Easy to learn and a community where your opinion counts.. what else? Almost the best with excellent potential. Worth to give it a chance. Focused on tactics, very basic on team management and easy to learn. Only a bunch of skills, but very representative. Match almost every day that last 30 minutes during which you may change schemas, give new istructions and make substituion. Try it if you like this kind of games.